My first hammock experience in New York went pretty well. Thursday was a beautiful cloudless day and after helping out my old PMK/HBH buddies, who now work for an agency called Slate PR, at the Tony Awards class photo I checked my emails, got a job interview set up for next week and biked over to one of my favorite parts of the city, the Sailors and Soldiers Monument at Riverside Park (also where I found that dead baby bird). I lounged on the grass on the hill next to the monument, fell asleep and eventually got a little too warm to decided to move to the shade. As any good Boy Scout would be I was prepared to set up my trusty ENO hammock (http://www.eaglesnestoutfittersinc.com/single-nest-hammock.html) if the right tree presented it’s self. 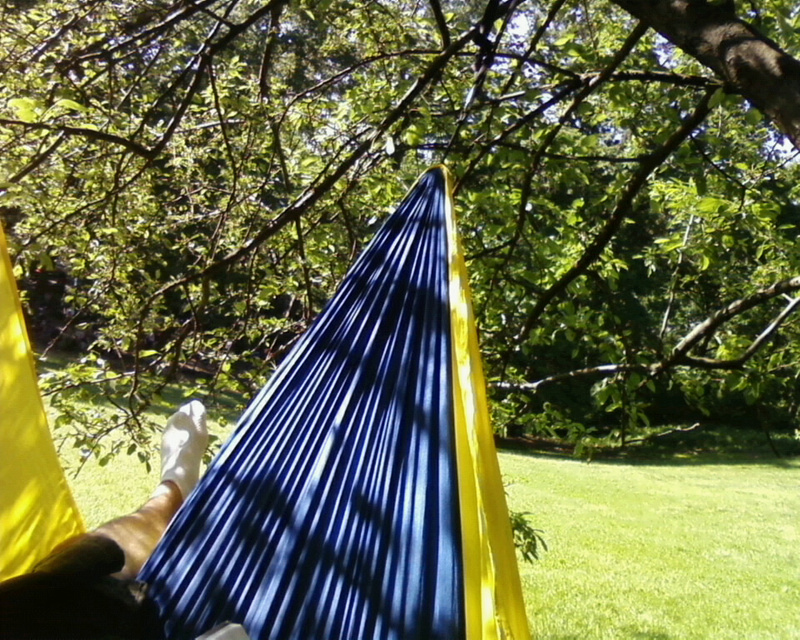 I found a couple branches that were a little close together but would work so I hooked up my hammock and got swinging. I enjoyed a couple of hours in the shade, reading, listening to the kids play in the jungle gym below and watching the squirrels go from tree to tree. Overall… it was a pretty good day. ~ by chj48 on May 22, 2010.